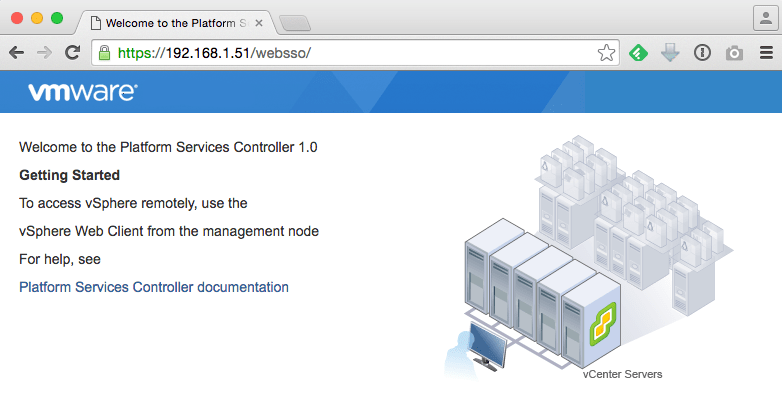 Quick Tip – How to disable the landing page for vCenter Server 5.x & 6.x? 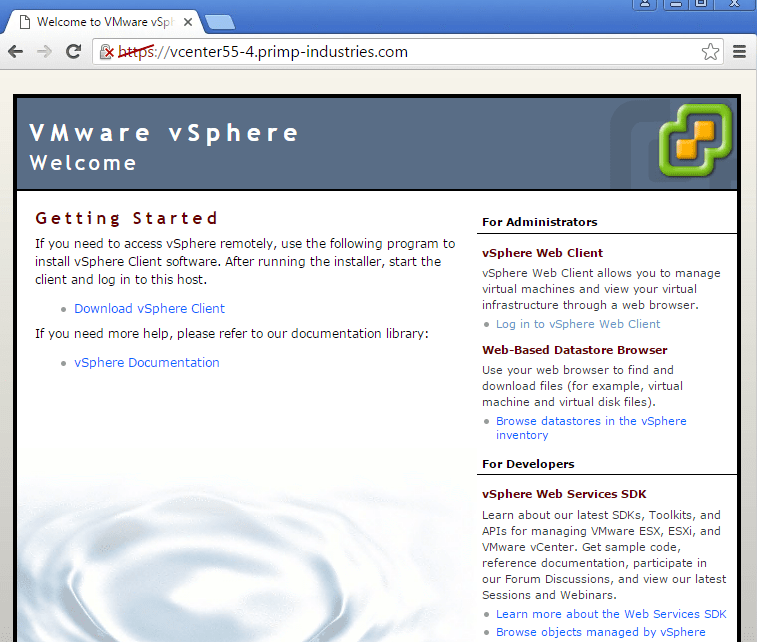 You are here: Home / vSphere / Quick Tip – How to disable the landing page for vCenter Server 5.x & 6.x? 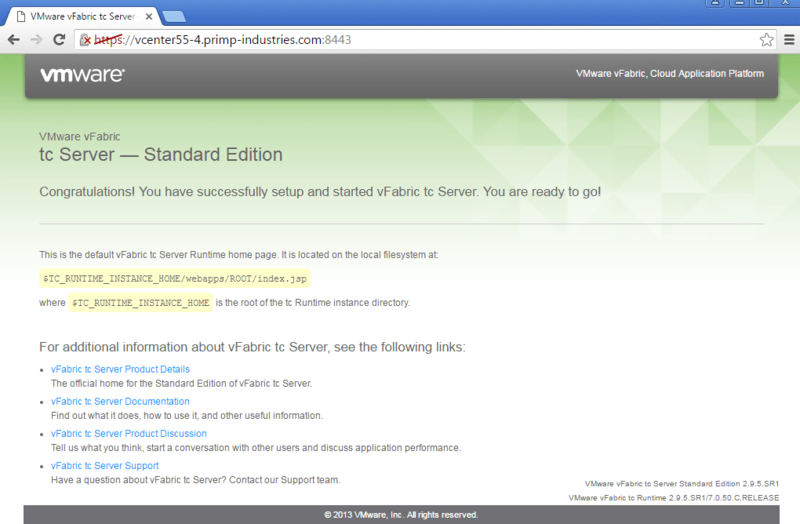 The question of wanting to disable the default landing page for the vCenter Server is one that comes up infrequently. In fact, I probably see this maybe once or twice a year. However, when it does come up, it usually revolves around two topics: some sort of security risk and limiting users from obtaining software provided through these landing pages. In both case, simply disabling these landing pages will not solve either of these perceived issues. I generally find these landing pages quite useful as they provide links to software downloads such as our legacy vSphere C# Client, SDK documentation as well as links to other interfaces to vCenter Server like the vSphere Web Client login, the datastore browser or the vSphere MOB. All of this information can be obtained through other official channels, so simply disabling this page does not really prevent users from downloading this content or accessing these interfaces. On the second topic around security (which by no means am I an expert in), some customers feel that simply removing these default landing pages would some how prevent a security risk because a version of the software is no longer listed on that page? This is what some folks would call security through obscurity which just does not work. There are many different ways of identifying a version of vCenter Server and some of its components as well checking if the service is running. Simply removing these pages does little to nothing from stopping someone from retrieving this information using other methods. Instead, users should really be focusing how they are implementing security both in the software as well as the policies and processes they have in place which hopefully are inline with modern security practices. In fact, by disabling some of these pages, you might even be hurting your overall customer experience depending on their familiarity with vCenter Server. In any case, for those that are still inclined to disable these pages, below are the instructions on how to disable the various landing pages as I have not really seen this documented anywhere. The solution is actually quite simple which is to just rename the index files to something else which will prevent them from being loaded by the webserver. Your comments are just not correct, the blocking of the landing package is not a security scenario per se. The reason for disable of the landing page is a control feature, not a security feature. Enterprise scale customers do not want random download of clients or plugins. Enterprise customers deploy clients and plugins as a controlled process, so any link that allows access to a client or plugin is not only misleading, but creates confusion. Moreover, given that such links are blocked by control polices if a typical user does happen to click on one, and it fails it reflects inappropriately on all concerned including VMware. It is clear you did not take a enterprise customer perspective in your comments above. 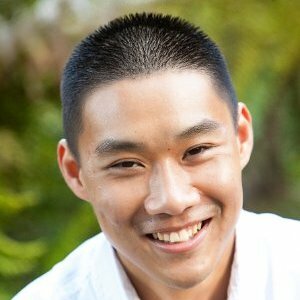 I am looking to find out if we can change how 404-error-page gets display. The vCenter does not show it however, if you have an external PSC server, then the https://PSC-FQDN/Random-string will give you the default-tomacat-404-page which displays Tomacat version number. Many of the security scanning software such as Tanable flag it as security vulnerability.